It can be as simple as a dried flower or an herbal sprig. But that added touch means that you are sharing something that you nurtured with your own hands. And THAT can’t be found in a store. 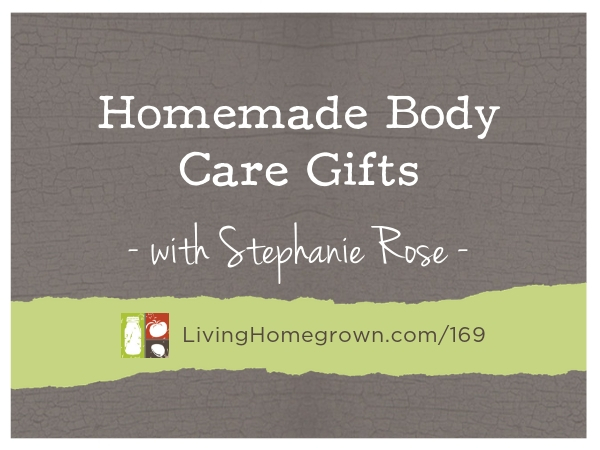 In today’s episode, I brought back garden author, Stephanie Rose, to share her tips and insights into making extraordinary crafts that can be shared as gifts. And she has graciously included a recipe for Tub Tea that you can print out and make this holiday season…or any time of the year. Stephanie Rose is an award-winning author and the creator of the hugely popular blog, Garden Therapy. Garden Therapy started as a personal blog and has bloomed into a community of craft and garden projects those looking to live a better life through plants. Stephanie’s creative take on both crafting and garden making has been featured in many publications such as Better Homes and Gardens, HGTV, Romantic Homes, Country Woman, All You, and Women’s Day. 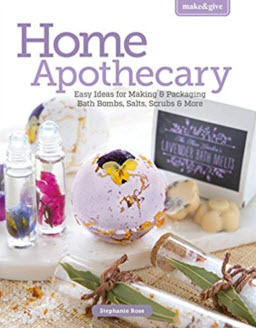 Stephanie has written several books including Make and Give: Home Apothecary (Leisure Arts, 2018), The Natural Beauty Recipe Book (Rose Garden Press, 2016), and Garden Made: A Year of Seasonal Projects to Beautify Your Garden and Your Life (Roost Books, 2015), which was a Gold Medal Winner from the 2016 Independent Publishers Book Awards (the “IPPYs”). 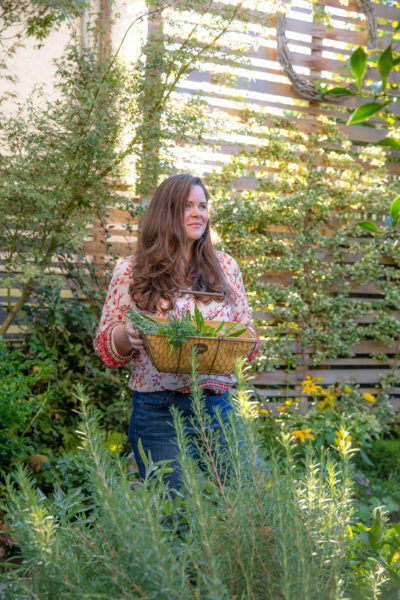 In 2018, Stephanie launched the Garden Therapy Seed Collection with GardenTrends, a line of eight exclusive seed starting kits to create your DIY dream garden. Stephanie spends her time as a gardener, writer, and artist in Vancouver, BC, Canada. Stephanie shared her recipe for Tub Tea with us. It will make a relaxing gift to give to yourself, or someone else. Thank you so much for having me on the show, Theresa. I always have such a great time chatting with you.